We look forward to seeing you on Thursday, May 2nd! Icertis, the leading provider of enterprise contract management in the cloud, solves the hardest contract management problems on the easiest to use platform for companies with $750M or more in annual revenue. Icertis helps companies transform their commercial foundation ensuring compliance, improving governance, mitigating risk and enhancing user productivity, thereby improving the bottom line. The Icertis Contract Management (ICM) platform is used to manage 5+ million contracts by 2+ million subscribers at companies like 3M, Daimler, Johnson & Johnson, Microsoft, Roche and Wipro in 40+ languages across 90+ countries. The AI-powered platform allows customers to increase contract velocity and agility, proactively manage entitlements and obligations as well as surface commercial insights and intelligence. 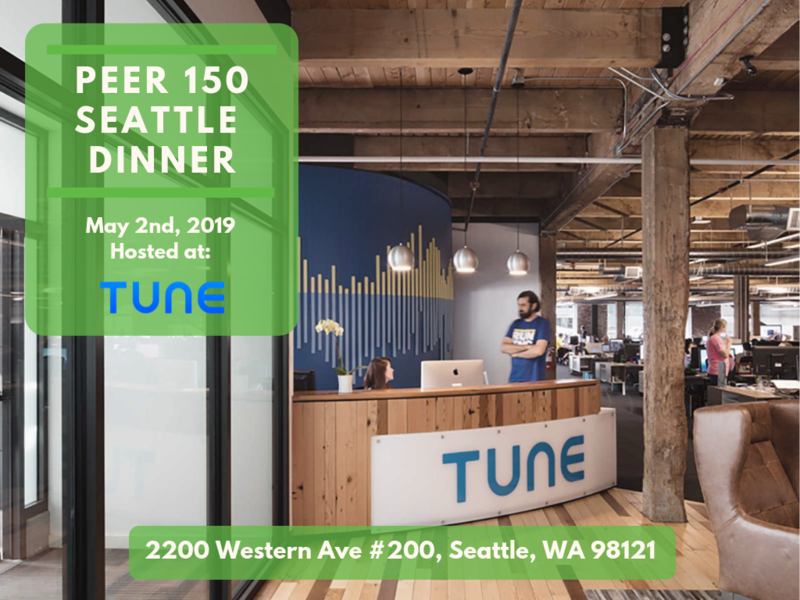 Since 2009, TUNE has led the mobile industry in providing reliable, unbiased, and transparent performance marketing measurement and management technology. We’re a group of thinkers and doers with a track record of delivering innovative products that change how brands reach and engage target audiences. As the industry standard for more of the top 100 grossing apps than any other performance marketing solution, we work with iconic brands such as Uber, Sony, eBay, Expedia, Staples, Zillow, and many others.